Amit Gupta reiterates for the umpteenth time that an entrepreneur should be obsessed with the problem, not the solution. And that’s exactly how he’s approaching the issue of urban mobility, the focus of his second venture. Gupta made a name for himself with InMobi, as the ad-tech startup he co-founded went on to become India’s first unicorn. He built InMobi’s revenue engine, diversified its monetisation streams and helped set up teams in 15 countries including the US, enabling the firm to compete with giants such as Facebook and Google. After more than a decade with InMobi, Gupta rode off into the sunset last year - but only figuratively speaking. In reality, he moved elsewhere in the building to launch Internet of Things-driven bicycle-sharing startup Yulu. 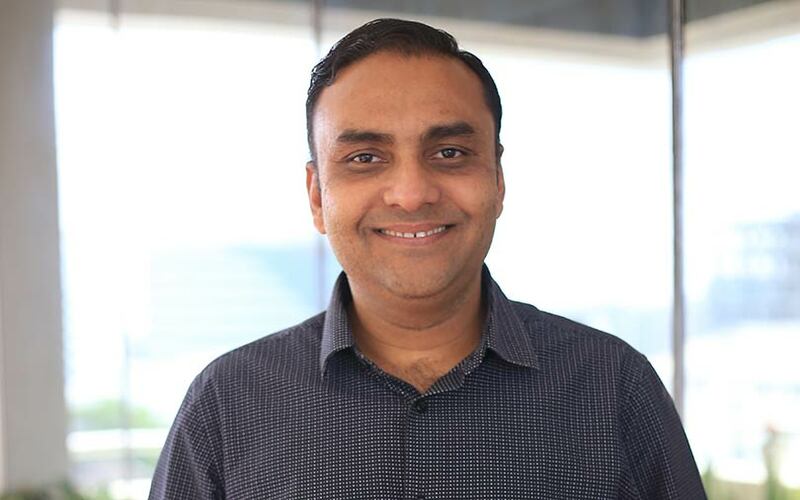 “I have not been emotionally able to move out of this Bengaluru office because it is a great source of energy, which is very much required at the beginning of my journey,” Gupta told TechCircle. But the plan to start a second venture wasn’t always in the script. Gupta had originally considered retiring at 40 to become a full-time philanthropist. But interactions with titans including Bill Gates, Azim Premji and Nandan Nilekani prompted him to change his mind. Like them, he decided to branch out and tackle issues he felt strongly about. Gupta toyed with several ideas in the social sector where he thought technology could be put to good use. “I believe technology is a big enabler that can bring about a greater impact on your mission for social good. Technology is what I have been trained for and what I have been associated with ever since my graduation,” he says. Water, sanitation, healthcare and education made it to the shortlist. But on his return to India from the US, the time Gupta spent on his daily commute really got to him and convinced him that urban mobility was the way to go. “I stayed very close to my office. But I noticed that the travel time had increased to about 30 minutes against just six or seven minutes earlier,” says Gupta. Pollution aside, he realised that sitting in traffic also affected productivity at work and ate into both family and personal time. “As I approached 40, InMobi needed me for one more year. I discussed my desire with my team and the board, and they respected my decision. At the age of 41, I fulfilled that self-set commitment of moving to social good,” he says. At Yulu, his energies are now being devoted to understanding the troubles with last-mile connectivity. He says that while the number of roads remain virtually constant, vehicles are ever-increasing and nearly half of them transport just one person. Gupta felt a better alternative would be replacing bigger vehicles with smaller, non-motorised ones to create more space and reduce pollution. He shared his vision with old friends RK Misra, Naveen Dachuri and Hemant Gupta, and together they launched Yulu in January this year. “Our idea was to build products which are small in form factor, designed for one person, use sustainable energy sources, and operate on the shared economy model,” says Gupta. He believes that bike-sharing is the first step on the long road to reducing congestion. “We want to fix urban mobility in India. We don’t know if the bicycle is the right answer, but we think it has a role to play in this entire spectrum,” says Gupta. Gupta claims the company raised a sizeable round of seed funding. He did not disclose the amount but said it would give Yulu a runway of up to a year from now. According to him, the startup registers about 3-5 trips per bicycle per day and over 55,000 people have used a Yulu bike across Bengaluru and Pune so far. App downloads have crossed more than 100,000. The company has approximately 4,000 bicycles on the road currently and is looking to take that number to 50,000 and expand to four or five cities this year. He claims Yulu is currently the top bike-sharing service in Bengaluru. The competition is building up with car-rental startup Zoomcar and homegrown ride-sharing firm Ola both entering the space recently. Chinese unicorn Mobike has also forayed into India while its local rival Ofo has decided to ride out of the country. Even before Ofo’s decision to leave, there were question marks about the viability of such businesses given India’s disorganised transport system. But Gupta says it’s a matter of time before we have bicycle lanes on our roads. There is some progress on this front. The local authorities in Karnataka have started an initiative to build bicycle lanes while the government’s proposed smart cities are all required to have dedicated tracks for bicycles. “Every smart city, 20 of them, have to have bicycle lanes. The smart city project has now been expanded to 100 cities. The market is so large that we believe we will be able to make it work financially in the long run,” Gupta says. In the meantime, he will continue focusing on the problem rather than the solution.